SILVER Flexo rinting modular units from Advanced Converting equipment. 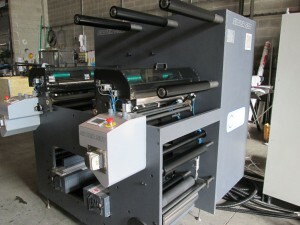 SILVER (In line flexographic printing machine). This in line narrow web flexographic printing machine alusilver© is a modular flexo printing machine specially dedicated to print unsupported soft/semi-hard and hard alufoils for pharma blister yogurt lids, chocolate wrapping, wine capsules and laminates. The machine can be equipped with hot air drying system, UV curing or both. One is a FULL SERVO and one with gear drive metric or inches pitch.